I caught crocheting much like someone catches a cold. I was exposed to it by my grandmother and mother. 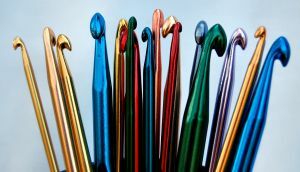 The steel crochet hooks, bright threads, and intricate designs were stamped onto my young psyche. Working with thread proved a challenge for my childish hands, so yarn was substituted. Collecting crochet patterns and yarn became a natural extension of the hobby. When I'd see a cute baby afghan or a sweater design, I'd print it out and tuck it away. Even today, I stay out of craft stores because I lose track of time among the rows of dazzling colors and textures. Do I use every pattern or skein of yarn? No. 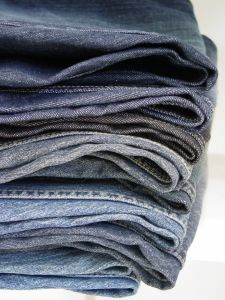 Many of them sit in a file or closet for years, while others are produced immediately. My writing idea file reminds me of my penchant for gathering things I hope to use someday. They grab my attention for a short time, but never make it to the production stage. What causes an idea to land in a file instead of on a page? Often, the lack of attention I give it is the culprit. If I mull it over, examine all angles, and let my mind go down various pathways, I may unearth a story fit for publication. Other times no matter how much I brainstorm a thought, it fizzles out like a 4th of July sparkler. How do your story ideas go from the initial vision to a finished product? Charismatic Major Jack Novak is accustomed to winning. When Lieutenant Ruth Doherty, an army nurse, evades his attempts to woo her, he takes the challenge to heart. Ruth carries the responsibility of providing for her younger siblings. Yet, it's her terrible secrets from the past that stand between her and love. Author Sarah Sundin's book, "A Memory Between Us," was recently named one of the Top Ten Christian Fiction Books of 2010 by the Booklist, the magazine of the American Library Association. It's well deserved. The characters grapple with their emotional turmoil, past mistakes, and relationship with God. The process moves along at a good pace, but is not rushed. If you love romance and/or WWII action, this book will seize you and not let go until the last page. BTW, I loved this cover design. 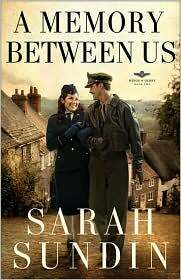 Do you like romances in wartime settings? Can you name a few of your favorites? Woohoo! I reached the 500-post mark recently, and I'm ready to celebrate. 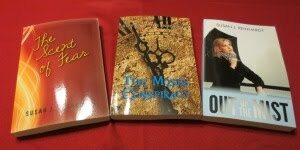 I'm giving away THREE books to THREE Followers as a thank you for your loyalty and friendship. 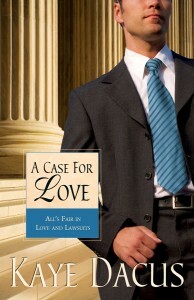 For all you romance lovers, Kaye Dacus' book, "A Case for Love," will melt your heart like chocolate over a low flame. 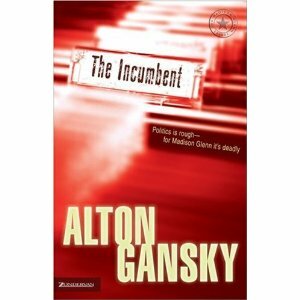 For all the mystery buffs in the crowd, Alton Gansky's book, "The Incumbent," will send shivers down your spine. Tamara Leigh's, "Stealing Adda," is a fun read with a serious message. For all the writers out there, her main character is an author. 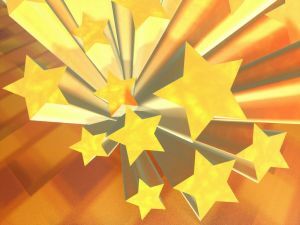 1) The contest is open to residents of the U.S. and is void where prohibited. 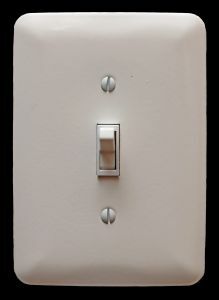 2) To enter, you must either be a current Follower or become a Follower. 3) Comment below and leave your email address. You can specify which title you'd like to win or be entered for all of them. Sorry, no email address = no entry. 5) Deadline: Saturday, 2/26/11, at midnight. Winners will be notified via email, and an announcement will be posted on the blog sometime Sunday, 2/27/11. Disclaimer: The publishers and authors did not provide these books or request this giveaway. They are from my personal collection. My buddy, Karen Lange, at Write Now, gave me the Meat and Potatoes award a few weeks ago. I hope you'll visit these bloggers and sample their offerings. This award recognizes the meaty content found in the blogs we visit. It's my turn to pass this award on to two fellow bloggers. I can always count on Laurel Garver, at Laurel's Leaves, for great writing advice. You've seen me link to her on my Friday Round-Up many times. Congratulations, Laurel. Maria Morgan, at Life Lessons, provides a different kind of Meat and Potatoes experience. Her devotionals challenge, make observations, and get her readers thinking about their walk with the Lord. Congratulations, Maria, for a great spiritual meal! He had it all...or so he thought. As head of RimSoft, Micah Taylor enjoyed all the perks of a successful CEO. The penthouse, travel, power, and a beautiful business partner/girlfriend kept him busy. When he receives a letter from his long-dead Uncle Archie informing him he's inherited a house at Cannon Beach, he's disturbed and a little angry. He's shunned that area for years because of unhappy childhood memories. Micah finally checks out the house, and finds a home. It reflects every part of him and takes him on an unexpected spiritual journey. As I read Rooms, I was struck by how much it reminded me of The Shack. Both characters faced a traumatic experience that affected their lives. God leads each one through a process of healing and forgiveness. Mr. Rubart reached deep into Micah's soul, wading through all the confusion, anger, and hurt of his past. He didn't rush the process or give easy answers. The battles within Micah's heart resonated with some of my own life events. I'm not one to re-read books other than the Bible, but I find myself drawn to it. I suspect I haven't uncovered layers of meaning. While it held my attention and moved along at a nice pace, I suggest taking time to pause and reflect on his points. There were many "Selah" moments for me. I would give this book as a gift without hesitation. I hope many people discover this unusual and effective story. Have you read any novels that impacted your spiritual life in unexpected ways? I'd like to hear about it. A fun game involved drawing a large box with rows of dots. Each player would draw a line, hoping to complete a box. The player with the most boxes won. Simple, right? 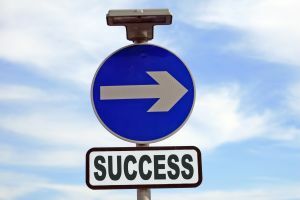 While it might seem that way, strategy played an important part in winning the game. One wrong move, and the opponent could score a lot of boxes. 3) Advanced knowledge and application of the craft. Within that framework, variations are limitless. 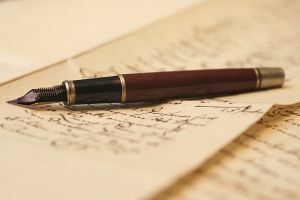 Every writer brings their individual history, culture, values, and level of spiritual maturity. Genre, the publishing climate, support system, and family add to the mixture's flavor. No two writers will connect the dots in exactly the same way. Seek God for direction and how best to use the gifts He's put within you. Then, connect the dots, writing in your own unique, beautiful way. What life events shaped the way you write today? Over the last several years, I've been privileged to contribute to two Cup of Comfort anthologies. They've published 45 books over 10 years and sold two million copies. I recently visited their website and discovered they are no longer taking submissions as of January 1, 2011. 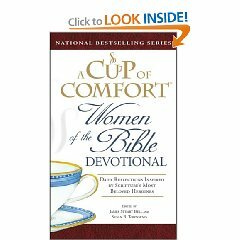 The final book, "A Cup of Comfort for Christian Women," will be published in February 2011. These books will still be available on their website and at various other booksellers. I'm sad to see this series end. 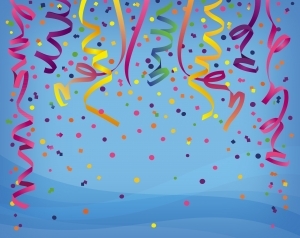 Have any of you been published in a Cup of Comfort anthology? Which one? Are there any fond memories you'd like to share? Crystal Laine Miller, of Christian Book Scout, gives teen writers advice. The tips are not only valuable for young people, but also for grown-ups. Have any of your children, grandchildren, or students shown an interest in writing? How do you encourage their creativity? Have a Happy February Weekend! Katie O'Connor's plans include marriage to Jack, a rich law student from an influential family, and a career to advance women's rights. No flighty romance will derail her ambitions. She's going to control her destiny and not some man. Everything is on track until she's forced to work with her old nemesis, Luke McGee. The contrast between the two men create a war within her soul. Will she deal with her past hurts and make right choices or pursue her own way. Julie Lessman's books from the Daughters of Boston series left me with an eager anticipation for the continuing adventures of the O'Connor clan. This new series is called, "Winds of Change." Katie's story surprised and delighted me. The spoiled baby of the family finally grows up. The author's expert use of conflict and romantic tension kept the adrenaline flowing. A Hope Undaunted is one of those books where you let out a satisfied sigh and smile at the ending. She leaves you wanting more. While this is a stand-alone book, you'll fully appreciate the O'Connor family if you read the first series. I'm glad I didn't miss any of the story. Many of you write romance or books with elements of romance. How do you keep the stories fresh and avoid stereotypical plots? Any thoughts? Walking through a Chinese Buffet line, I asked my young friend from Beijing if the food was anything like what she had in her country. She giggled and pointed to the fish. "This isn't Chinese food. It's what Americans think is Chinese food. 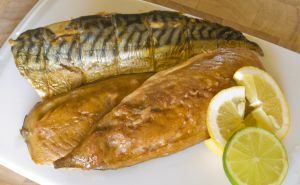 Where's the fish's head and tail? Where are the fins?" I learned many things from her. 1) The Chinese do not move their lips so much when they speak. My attempts to learn a bit of Chinese were pathetic. 2) The U.S. seems spacious to them. Her city is wall-to-wall people. 3) After she became a believer, she only read from an English Bible. Her language is all pictures, and she did not know the words relating to Christianity. Each of us had many misconceptions about the other's culture. It made me think of my writing. When I include characters from a different ethnic background, do I go beyond the surface to get the full flavor of their culture? It's easy to revert to stereotypes if we don't do our homework. I love it that author, Patti Lacy, actually went to China as part of her research. Other authors saturate their minds with the culture through the Internet, books, and interviews. What surprising facts have you discovered about another culture during the course of research? Marlene Anderson, at Author Haven, asks, "Are You Ready for Your Goals?" She deals with reasons why our goals become good intentions. How are you doing with your New Year's Resolutions or goals? 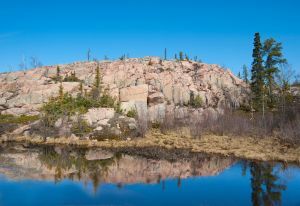 Becca, at the Bookshelf Muse, talks about creating unforgettable settings. Don't miss her last paragraph about seeing the setting through the Point of View character's eyes. 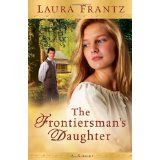 Lael Click, the daughter of a colorful frontiersman, longs for love. Whispers abound in the settlement concerning her father's ties to the Shawnee. Is he loyal to those in the fort or to his Indian friends? She's haunted by family secrets, passionate about the Kentucky land where she was raised, and wonders if she'll ever find someone who accepts her unconditionally. Lael lives her life, determined she'll be courageous like her larger-than-life dad. I first heard of Laura Frantz from a comment she made on a blog. 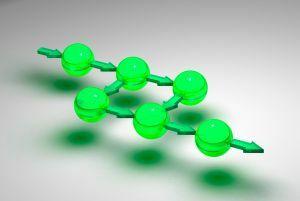 (See visiting blogs and commenting does make a difference.) Little bits and pieces tickled my curiousity until I ordered her book. Wow, I'm so glad I did. What an enjoyable read! The book is fast-paced and, unlike other romances, I didn't know who she'd marry until almost the end of the book. I liked that surprise element. It kept me engaged, and I couldn't turn the pages fast enough. Do you like stories about the early days of the United States? What are some of your favorites?